We only Make modern cabinets and cabinet doors - Available in High-gloss Matt or Textured - All Cabinet doors are made In Los Angeles and delivered in 3 to 7 Days. Glossmax Glossy Panels are resistant to impacts, scratches and are not easily bruisable. It Beautifully Reflects the authentication of wood while inspiring your living space with specular gloss through the variety of color options. 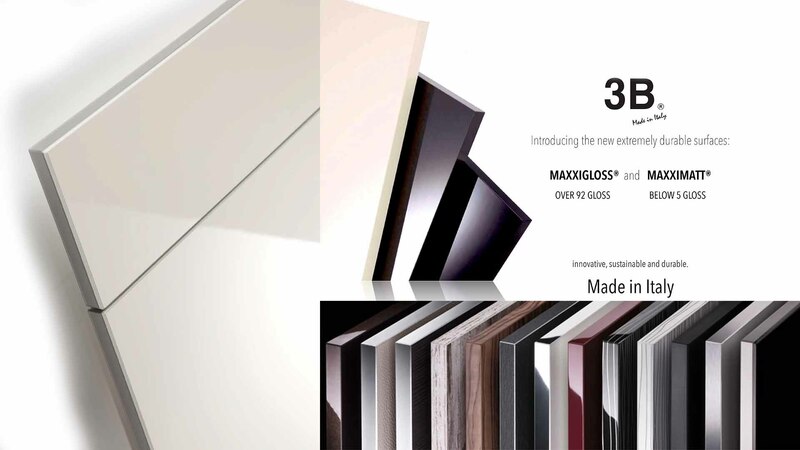 Glossmax Glossy Panel Products are also used in furniture production as the symbol of elegance and quality. Environmentally friendly in a new age in the segment with its technology maintaining its glossy look for a long time..
NatuNatural reflections of EvoGloss will make your world shiny. Choose your styles to give us a call. Custom orders are welcome with matching edgebanding. We are equipped with the machinery, Our know-how and the capacity to quickly manufacture what you need exactly to your specifications. Elegant High gloss Europian Made Panel make beautiful glossy cabinets and Doors, enables creating contemporary and stylish new combinations for home decor, kitchens, bathrooms, Cabinets, and decorations. Covered with Evogloss, and the back side of the panels is filled with white melamine. Scratch Resistant, Stain Resistant (coffee or milk olive oil, acetic acid solutions, tea, Soda, ), Resistance to (dishwashing liquid, laundry detergent, bleach), and other cleaning products, Mirror effect, Vivid Colors, Easy to clean, Water resistant, Modern designs.